Children love to jump, bounce, hit, roll, fly, climb, kick and wrestle. 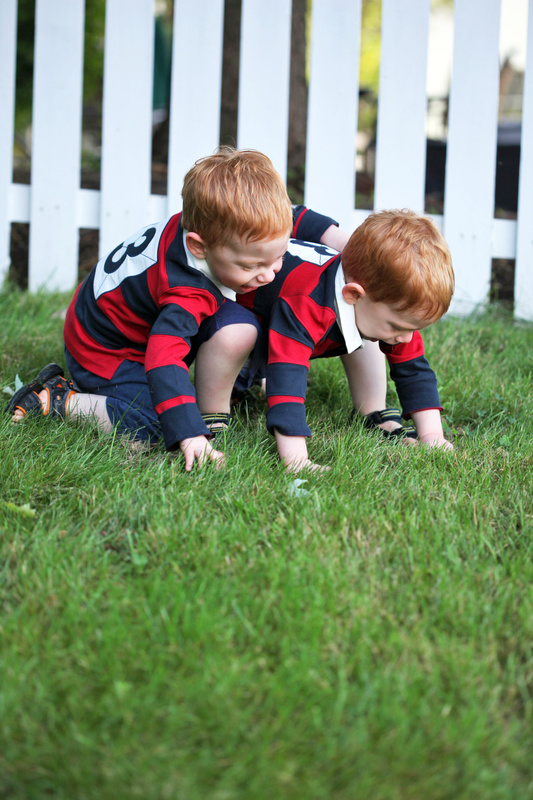 There are many developmental explanations for why children enjoy these types of rough-and-tumble play. In fact, scientists tell us rough play is crucial for healthy development. The unfortunate truth for children is that many of the adults in charge of caring for them no longer enjoy rough play (i.e. do not have a great developmental need for it) and do not see its usefulness. In fact, many adults see rough physical exertion as a negative behavior and discourage children from engaging in it, even in the spirit of fun. Adults would serve children well to permit and promote their engagement in rough-and-tumble play, even if it results in an occasional dispute or bumped knee, while still offering discipline for aggressive, negative behaviors arising from play conflict (which occur during physical and non-physical types of play). When I am upset with someone, I prefer to use words (or other unhealthy passive aggressive means) to get my point across. Running at someone from across the room and tackling them is appalling to me. So when my kids solve their problems this way, my first response is to think, “This behavior is appalling!”. I am not advising that you allow your children to hurt or endanger another child on account of selfish, angry or mean intentions, but I am asking you to see a rough physical scenario in a different light. When your child engages in rough physical behavior during play conflicts, take a moment to consider that this behavior was used because it came naturally to the child. It was the first response that came to your child’s mind, because of the adrenaline that was released in his brain telling him to fight or flight when in duress. A person’s age, gender, genetics, and experiences will tell the body how to respond to the adrenaline rush. Your verbal response to an adrenaline rush may be obvious, instinctual and natural, but to your child it may feel unnatural, ambiguous and counter-instinctual. When I am mad at someone, my immediate mental response usually needs to be filtered before I retrieve the most appropriate idea for responding my the agitator. Adults can easily do this (hopefully most of the time) because we have had time to practice and mature. In fact, this process is quick for us and takes a matter of seconds to complete. Young children have not has as much practice using their internal dialogue to assess an appropriate response to an agitator and need assistance to do so. Help assist your child develop strategies for responding to agitators other than with physical force. 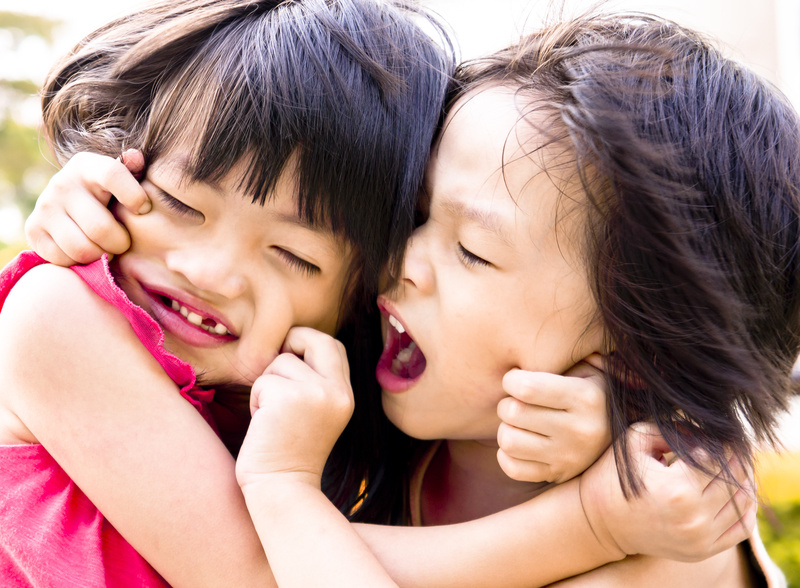 Physical aggression in response to play conflicts is common in children. 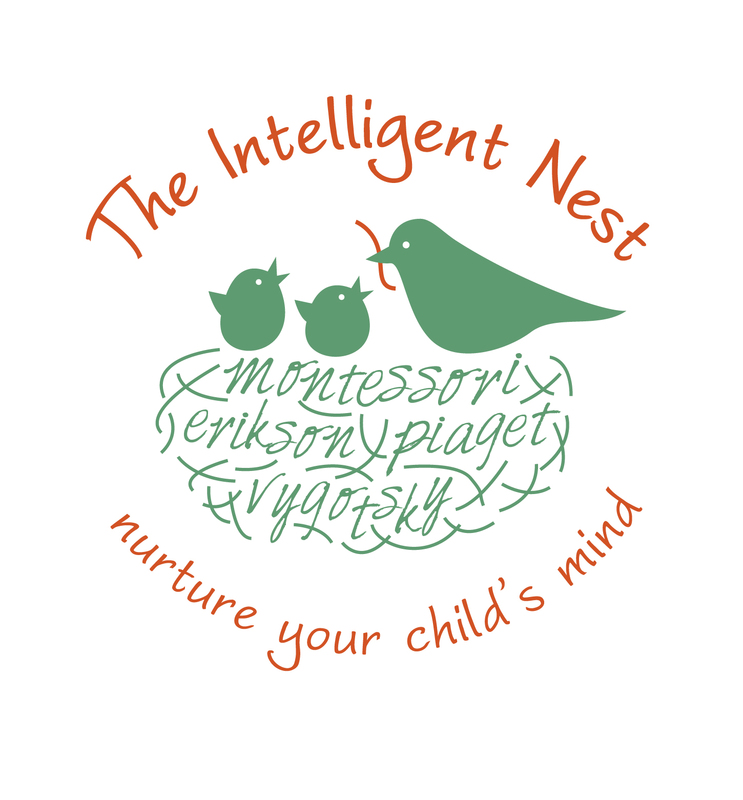 Very young children (infant to 2 years of age) have not developed a large enough vocabulary to communicate with words yet and so they use their bodies. When two 15 month-old tots duke it out over a toy, this is natural for them, although it might involve some tears. Calmly, separate the children and give them one or two words to practice for communicating next time- “stop”, “my turn”, “no”. Have them use their hand like a stop sign. Young children want to use their hands to communicate (hence the physical aggression) and the hand stop sign (flat palm, elevated fingers) is a great substitute for the pinching, grabbing fingers. Children three to five years of age can use words to communicate, but also like to use their bodies. Self-regulation (process used to stop oneself from exhibiting negative behaviors) is still difficult at this age. To help develop your child’s ability to handle physical conflicts try (1) role playing, (2) narrating the child’s experience, (3) giving the child phrases to use, (4) offering replacement behaviors and (5) teaching defensive skills. 2- Narrate the child’s experience: An adult who steps into stop a physical conflict states what he sees happening, as though he is telling a story. This helps children clarify what is going on and understand their emotions related to the conflict. 3- Give the child useful phrases: Help the child practice a couple of statements to use when your child encounters conflict. 5- Teach defensive skills: Teach your child how to protect her head, neck and face from aggressors, teach him to block/stop someones hand from hurting him, teach her how to take a kick or punch, teach him what to do in case someone pulls his hair. Learning basic defense is important for children because adults cannot always reach a victim child quickly enough to prevent harm. It also gives children more confidence to engage in healthy conflict resolution if they have skills to prevent their injury, just in case the other child tries to take the conflict to the next level. When I am sick or just flat out exhausted, I long to lay on the ground next to my children while they play. I inconspicuously find a pillow and sink to the floor, hoping to go unnoticed. Inevitability, my children quickly notice me and assume this means that it is time to clobber Mom. I grunt and groan and quickly move to protect myself as they continue to jump and roll on top me while giggling and having a jolly time. Eventually, I begin to have fun too, but it takes more effort for me. 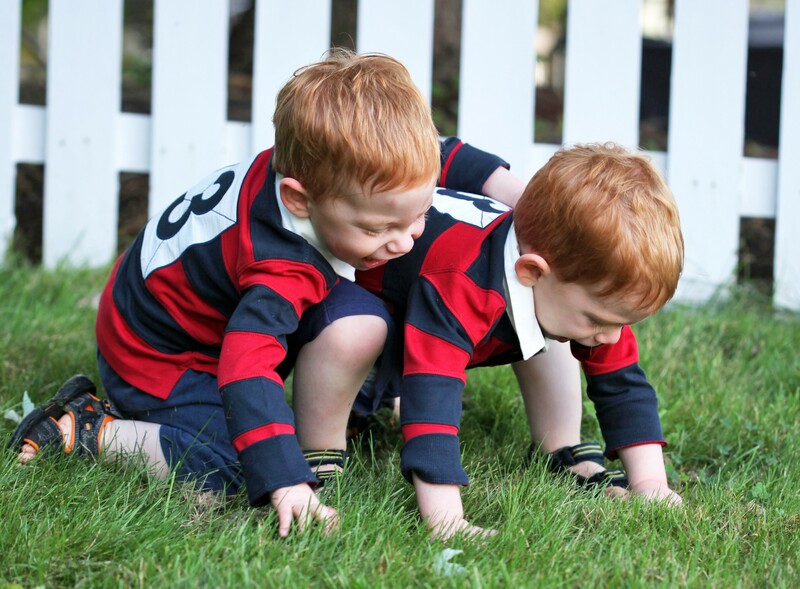 Children have an innate need for rough and tumble play, just like many other young mammals. Picture an adorable litter of kittens or puppies. It is cute when they get rough with each other, so cute you can find a bunch of these adorable clips on YouTube. Why do we get so upset when children get rough with each other in the spirit of fun? Most parents concerns lie in safety and promoting more mature interactions between friends. There is a multitude of research on the neurological, psychology, psycho-social, and physical health benefits of rough play. It is copious and clear with it’s message- “Let the kids play!”. Parental and teacher perceptions of rough play is the only wall standing in our children’s way. We worry about our child being harmed or having our child cause harm to another. If you worry about safety, be reminded that you actually do not have complete and total control of your child’s well been and as they grow, you will slowly relinquish the small amount that you do actually have. All play, rough included, helps to prepare a child for a safe, bright and happy future. Allowing your child to get rough now, can help your child become a more socially secure and confident adult, ready to handle conflict in a mature way. What is a bumped head or scrapped knee, now? It really is no big deal! Telling your kids to stop wrestling because someone might get hurt is like telling your child to stop learning to ride his bike because he might fall and scrap his knees. Of course they’ll get hurt from time to time, but they have so much to gain as a result of trying. There is more harm in stopping them than in letting them play rough. Rough-and-tumble play may not be natural and exciting for us, now that we are adults, but kids love rough play and if we choose to join in the fun we might find that we still like it too!